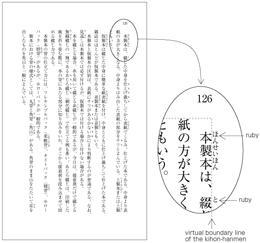 This document describes requirements for Japanese layout realized with technologies like CSS, SVG and XSL-FO. For non-Japanese speakers it provides access for the first time to a wealth of detailed and authoritative information about Japanese typesetting. The document is mainly based on a standard for Japanese layout, JIS X 4051 and its authors include key contributors to that standard. However, it also addresses areas which are not covered by JIS X 4051. The i18n Core Working Group is co-ordinating the Japanese Layout Taskforce (JLTF), a joint task force between the CSS, i18n Core, SVG and XSL groups. The goal of the JLTF task force is the creation of a document about requirements for Japanese layout realized with technologies like CSS, SVG or XSL-FO. Samples of KIHONHANMEN (one of the basic units of Japanese layout) have recently been made publicly available. The task force is working mainly in Japanese, with mailing lists and translations into English for non-Japanese participants.